I was invited to attend this wonderful event - Quaker Bowl at JW Marriot in Juhu. 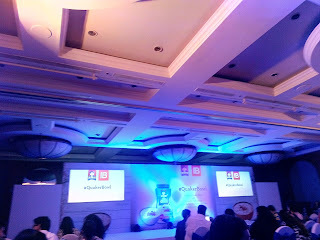 It was for all the Mumbai based bloggers for the launch of Quaker Oats in India by PepsiCo. 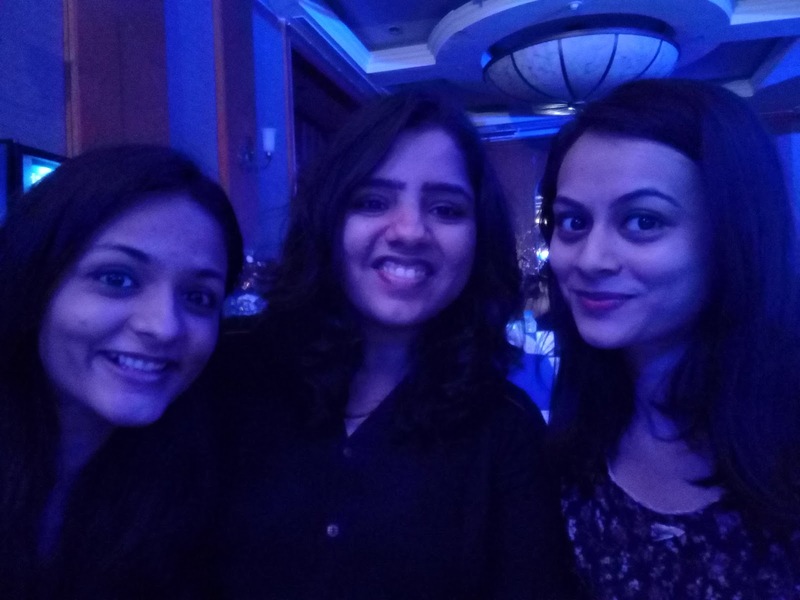 It was one of the best events I have ever attended. Thanks to the Indiblogger team, we all had great fun. The morning took off with Mr. Taher Shah’s latest video ‘Angel’. He is a sensation on YouTube. (Make sure you watch his videos) This classic video, shot with (totally)-out-of-this-world angles features him dressed up as Fairy godmother, yoga-instructor-who-loves-bathrobes and at last, an angel himself to win over his angel. Don’t miss it! As the hall erupted into an uproarious laughter, we were made to warm up with some jumping and dancing for various rounds of competitions and quizzes to follow. The best part was certainly the interaction session with celebrity chef Vikas Khanna. He kept cracking us up with really funny gags and one-liners. 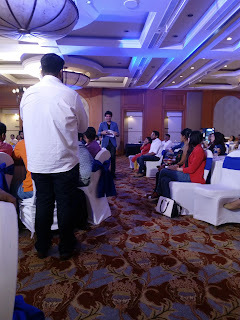 He introduced himself and then hosted a little quiz wherein he asked everyone questions about different foods; the correct answers fetched gift hampers. 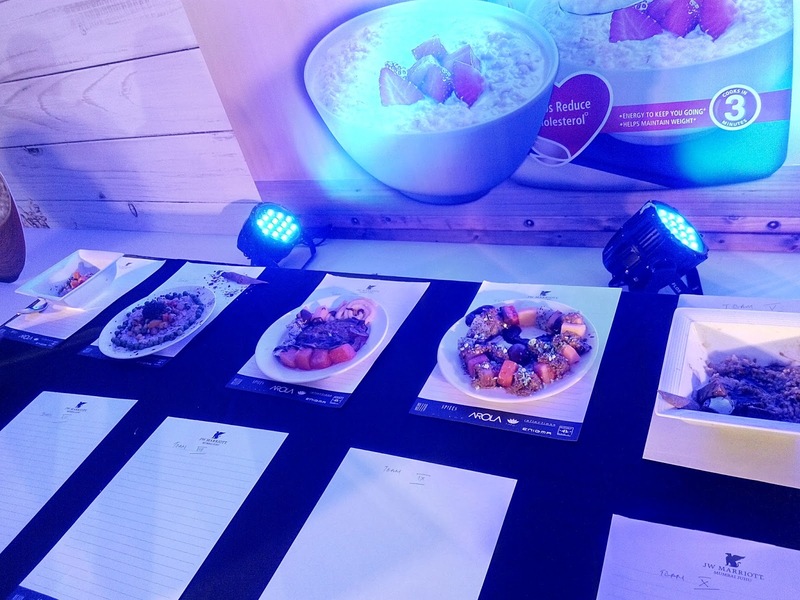 Then on, all were divided into groups and the ten different groups were asked to prepare a dish with oats. Two best recipes got prizes. Mostly when one goes for events, they are asked to keep their phones switched off or to refrain from using them. 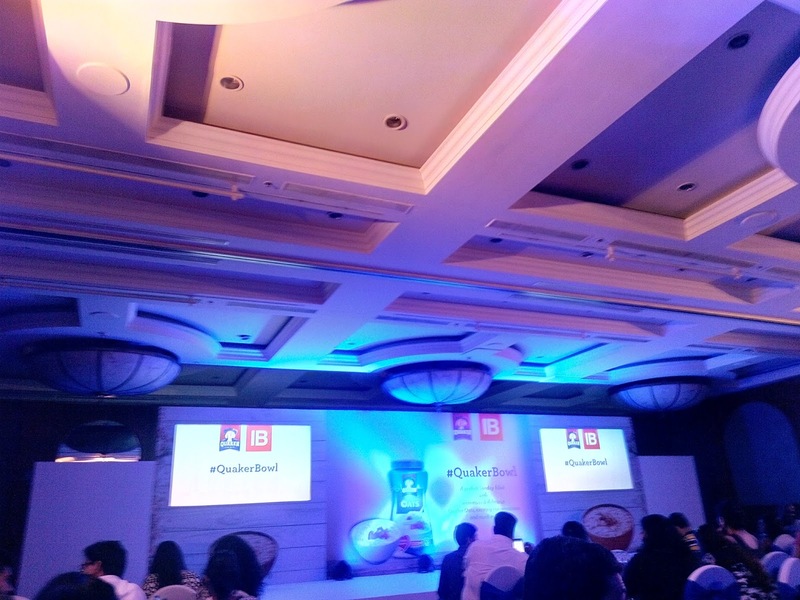 In a sharp contrast to that, we were asked to tweet using the hashtag #QuakerBowl. 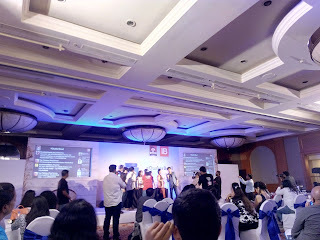 There was also a quiz all over India using the same hashtag, which also (largely :P ) helped. We could see the tweets with the aforementioned hashtag on the live screen in front of us. As the numbers increased, we had a shout out - #QuakerBowl was number one on twitter trends. Finally got a nice picture! 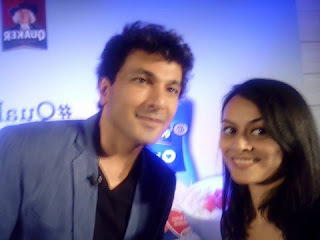 For the first time in my life, I asked a celebrity (a celebrity chef here) to pose for a picture with me at this amazing event. 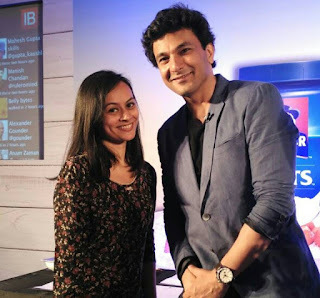 So the third time I asked Vikas Khanna for a picture with me (as I didn’t get a good picture), he said, "Please check the photo before you leave, I will pose until you feel it is OK. (To others) Only a woman has the right to decide if a picture is good enough. Men have no say in this, so we simply do what we are asked." 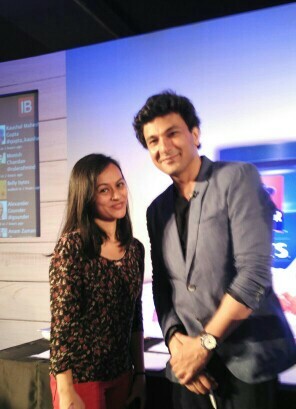 I never ask anyone for a picture, but I guess I just like chefs... as they give you food. And food, I love. I met some other bloggers - Disha, Sumeet, Zena and Dipesh. 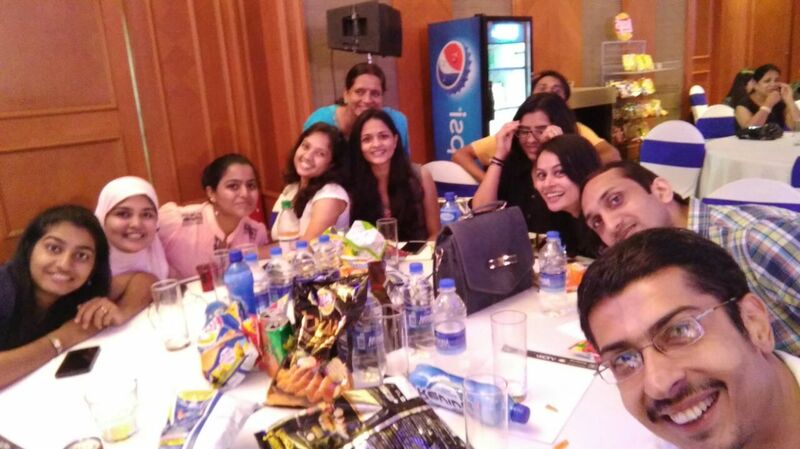 We had a great time interacting with each other. I got this super cool oats recipe book and a pack of Quaker oats. But hey, honestly I don’t like oats at all :P Though I am sure lot of you like them, so grab a pack and tell me about it! I like oats... Super healthy!! !